Bengaluru, Oct 25 2017 DH News : The Central Bureau of Investigation is quietly closing cases related to Karnataka’s multi-crore mining scam. It has ended its investigation, right at the preliminary inquiry stage, into illegal ore export from ports in Mangaluru, Goa, and Krishnapatnam in Andhra Pradesh. The illegal mining took place in Ballari district of Karnataka. In 2012, a minister estimated the loss to the exchequer at a mind-boggling Rs 25,000 crore. The Karnataka government had entrusted the investigation to the CBI. 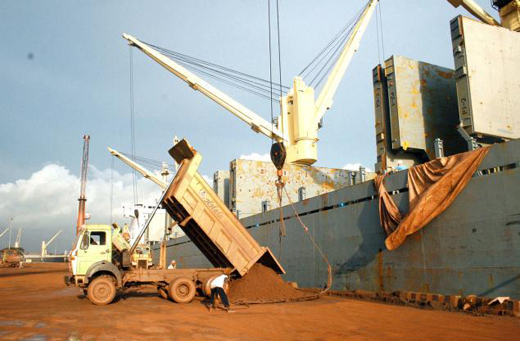 According to a Lokayukta report, 12.57 crore metric tonnes of Karnataka-origin iron ore were exported via ports in Tamil Nadu, Andhra Pradesh, and Karnataka between 2006 and 2010 (April). Ore exported from Goa was not counted in the report. Of the 12.57 crore MT, 2.98 crore MT was illegal, the report had stated. On the Supreme Court’s prompting, the CBI had filed chargesheets against mining companies linked to Janardhana Reddy, former BJP minister, and others. Sources said the heads of the CBI offices in Andhra Pradesh, Goa and Karnataka had informed their bosses about the closure of the cases. They have said no prima facie case exists and no evidence was found during preliminary inquiry. “They have sent out one-page letters,’’ said a senior official, part of the Karnataka Cabinet sub-committee on implementation of the Lokayukta report. Following the Supreme Court’s directions, Karnataka had formed a Special Investigation Team to investigate cases involving the export of less than 50,000 MT from Belikeri and the New Mangalore Port. Cases involving more than 50,000 MT were entrusted to the CBI. The CBI had filed chargesheets in some illegal export cases from Karnataka, Goa and Andhra Pradesh. Former Lokayukta N Santosh Hegde said reports by him and his deputy Dr U V Singh contained enough material to bring errant miners to book. “The Lokayukta inquiry was based on documents collected from the ports. The report was submitted with shipping bills and information gathered from the port authorities. How can cases be closed at the preliminary inquiry stage?’’ he wondered.